It has been way too long since I have posted. While the Grass-trees blog has been quiet, I have been ramping up my on-line activities elsewhere. The new www.genusla.com.au website is up and running and I am pretty happy with it. I’ve also been madly posting on twitter (@genusla and @jasedavo), branching out into facebook and also networking on linkedIn! It’s all part of promoting my services as a landscape architect using internet marketing and social media. These are valuable avenues that I have discovered through being involved with this blog, so thank you to everyone for reading and giving me the inspiration! So where are we at with Grass-trees and Butterfly Chairs, you ask? 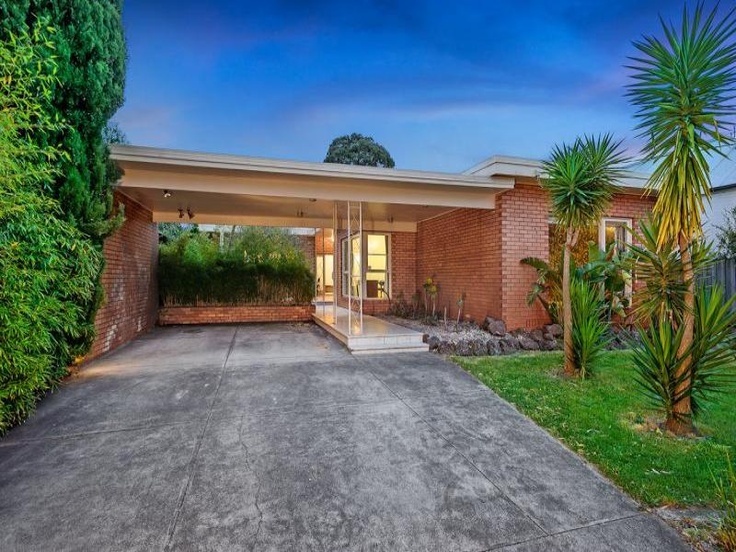 Well a quick review of my favorite online MCM sources Modernist Australia and Secret Design Studio, and the latest listings on realestate.com.au has revealed an abundance of amazing MCM homes around Melbourne and Victoria. So let’s have a look and marvel at the landscaping ideas that these wonders of design display! 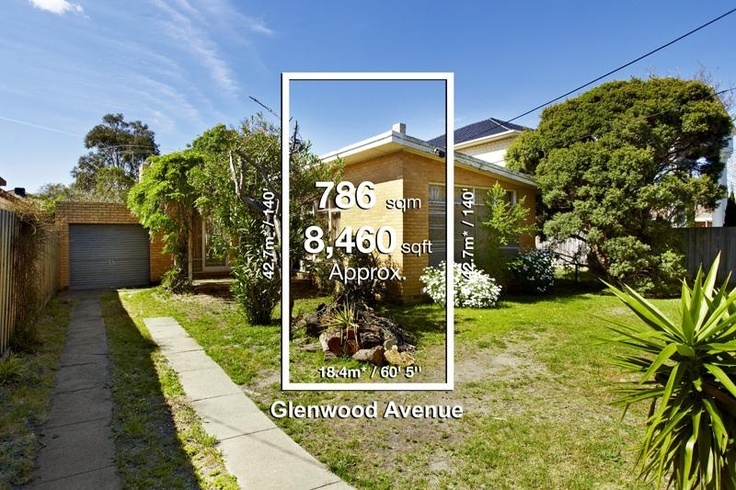 This home in Balwyn North, Victoria has been maintained in such a fantastic state! The vendor even has the classic car to match! A wild botanic garden covers the front yard with striking architectural plants such as Agaves and succulents underplanting a magnificent Eucalyptus. The garden provides a striking entrance and the location of the home on the sloping site allows it to sit comfortably behind the plantings and not dominate the street. 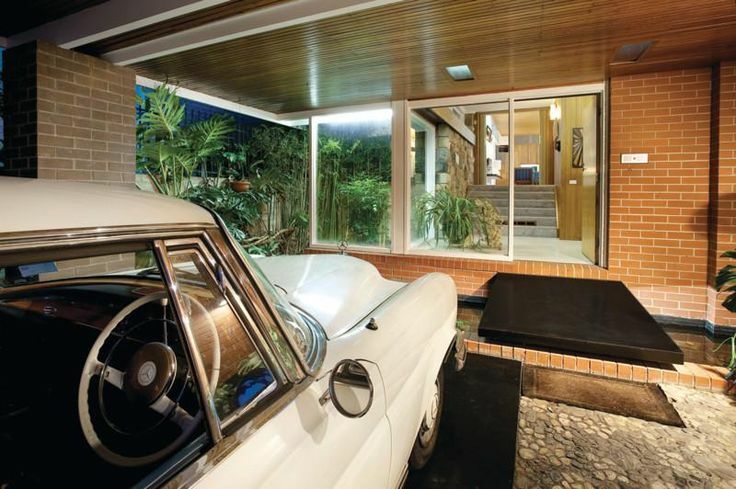 Entry is through the carport which was a popular design feature of a modernist home in Australia. This entrance hall features a wall of glass that looks into a planted light court and makes the planted landscape a part of the entry space. 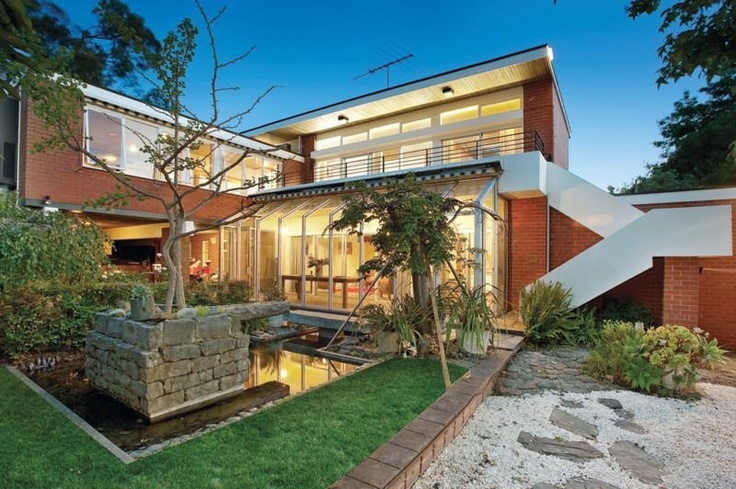 The amazing features continue through to the rear, where the two storey home looks out onto a Japanese inspired formal pond, lawn and pebble bed. The simple, clean lines and thoughtful arrangement of Japanese gardens was a popular influence on Australian landscaping from the 1950s onwards and the careful arrangement of rocks, water and pebbles is still seen today in many Australian gardens. Feature plantings of succulents and ornamental trees, such as Japanese Maples (Acer palmatum) complete the picture of this garden and truly complement the modernist style of the home. 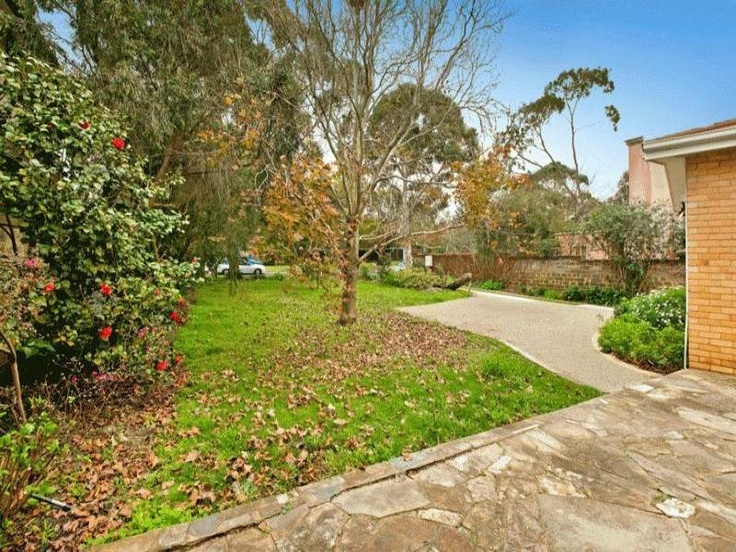 This next home in Studley Park Road, Kew, has an amazing front garden that once again complements the features of the architecture. The natural stone paving has been expertly laid and the material reflects the stone that has been used in the columns and feature walls. While quite formal, the pavement has an uneven edge which allows the rockwork and surrounding planting to work with the stone as part of the overall design. A feature slate path leads to the entrance and these natural materials again complement the features of the home. The house has been designed with the canopy trees of the area in mind and these trees form a great feature and give the landscaping many layers. The house sits comfortably in what is a semi-formal and almost bush garden. Another home with the entrance through a carport is this one in Caulfield North, Victoria. While I couldn’t track down an image of it, you can see how the tiled entry path leads past the carport and then also a private courtyard next to the entry. The careful selection of planting to the rear of the carport creates an open, yet private area. The planting in this garden is simple and uses succulents and yuccas, which complement the rock and pebble garden beds. These ‘Architectural’ plants have sharp straight lines that work well with the minimalism of the architecture. 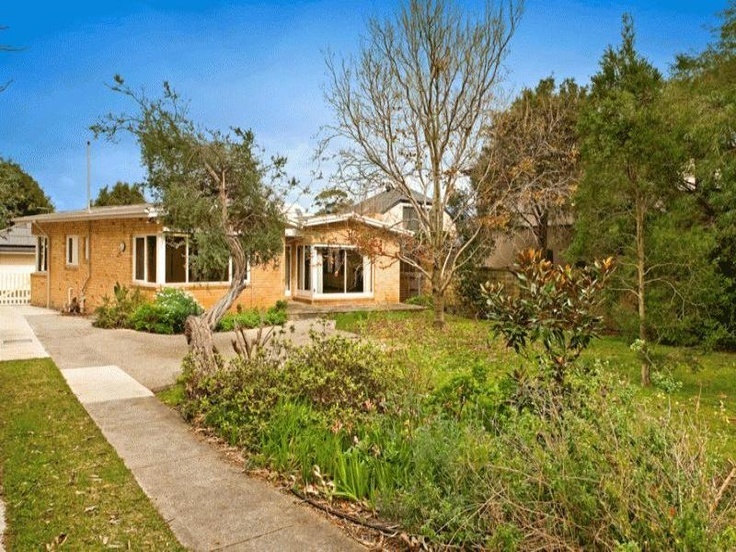 An interesting feature of mid-century modern homes that I have noticed in Beaumaris in particular, is the siting on the block. Many of these homes sit well back from the street, such as this home in Hornby Street, Beaumaris. Such siting may have been due to the location of existing vegetation such as the remnant tea-tree seen above. These trees are then used as the foundation for sprawling gardens and quite often an expanse of lawn. The existing vegetation provides a wonderful frame for the house, when viewed from the street, and adds the privacy of distance. 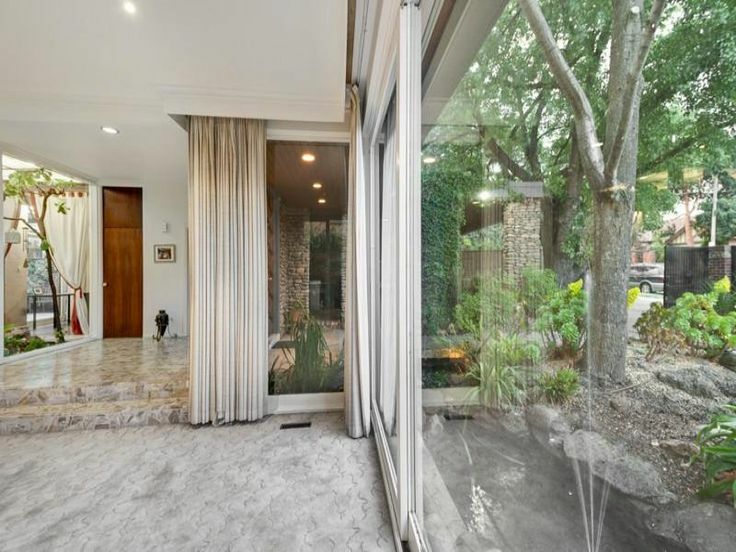 While the garden and features of this house are quite basic, there is still the natural stone used for the patio that links the living spaces of the home directly to the garden. 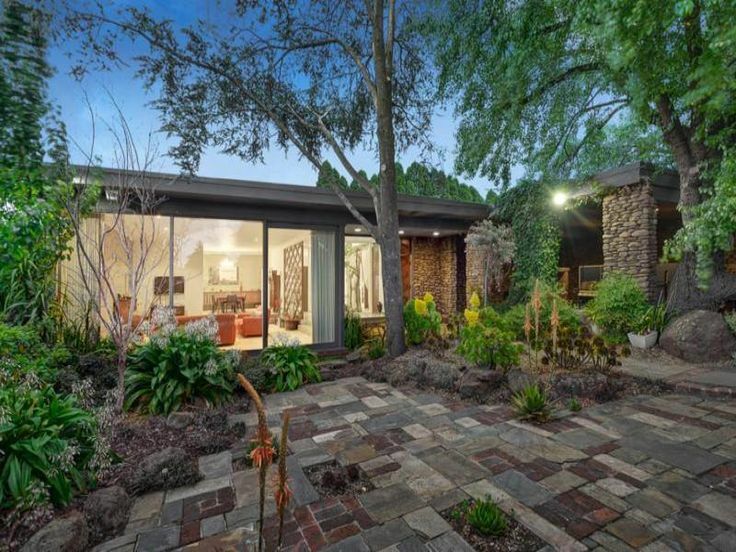 While this home, and so many other mid-century modern gems, is in need of some love and refurbishment, it is a shame to see them advertised merely for their land. 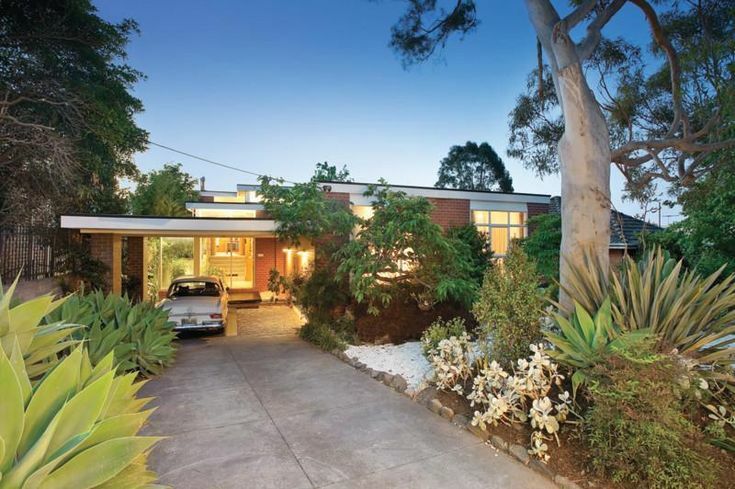 Another Beauie gem is up for sale and I am disappointed that while there is reference to it being a ‘Beauie Classic’ there are no images to display its character as a mid-century modern home and the benefits a new owner might gain by restoring it. 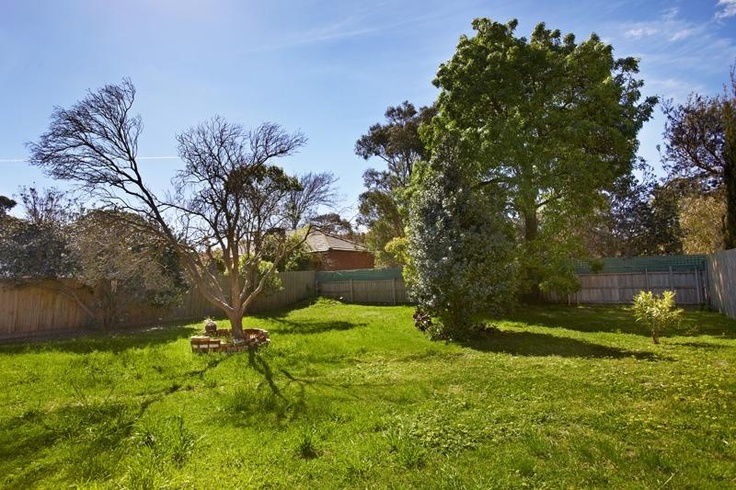 The garden space is amazing and is the perfect canvas for an amazing bush garden to truly complete this as a great family home. 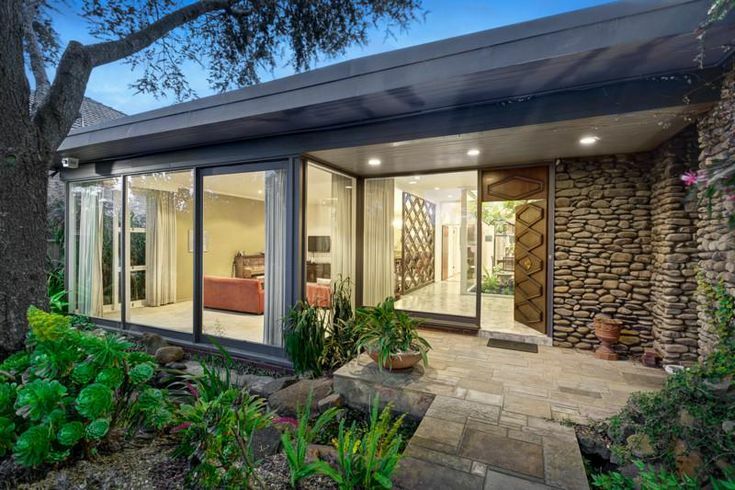 It is amazing to see the amount of interest that mid-century modern homes create, so I’m sure that the vendor could get the price they want by focusing on those that are looking for their own modernist beauty! It’s good to see you posting again. Keep up the highly inspiring work! Lovely Images! Found a great website Quoteworld providing free quotes for professional photography services like landscape photography. I am planning to get quotes from there. Previous Previous post: Get Yourself a Beauie Classic!